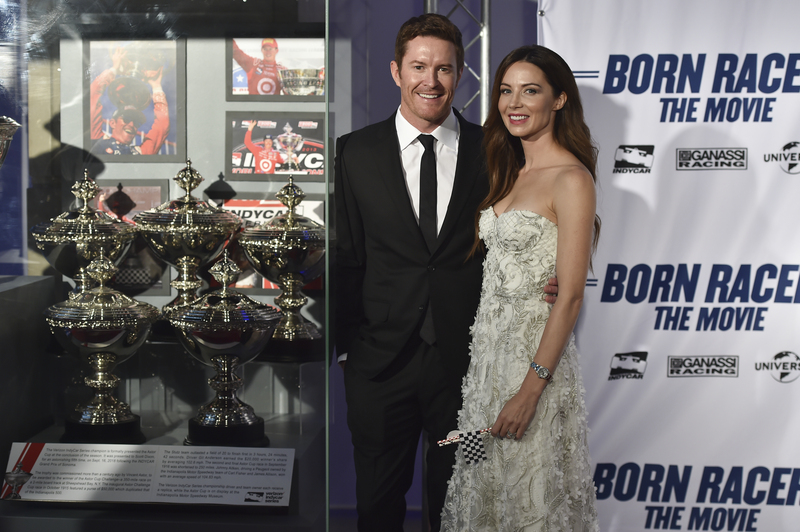 Although ‘Born Racer’ will probably appeal most to people who follow motorsports, this film about five-time IndyCar champion Scott Dixon is, in some respects, more of a human interest story than a racing documentary. 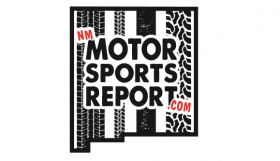 Seventeen times a year, the IndyCar Series is broadcast on television and we get to see some of the best open-wheel drivers in the world compete to be No. 1. 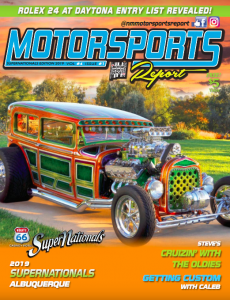 The casual fan might watch an event and stay tuned after the checkered flag to hear a couple post-race interviews, but the life of a racecar driver is more than just going full-throttle and taking home a chunk of money. Working for a race team, whether it’d be as a driver or crew member, is a lifestyle — and a unique one at that. Imagine a job where you are spraying champagne and celebrating with your co-workers after a winning weekend. Sounds fun, right? Well, think about suffering a heartbreaking defeat leading to you contemplating why you even do the job in the first place the following weekend. It’s not a career meant for everyone. It’s an emotionally straining and stressful job when things aren’t going your way. And more times than not, things won’t go your way. In a field of 20-plus drivers, only one of them is a winner. But being that sole winner makes every sacrifice that got you to that point all worth it. The goal of this film is to promote IndyCar racing. Formula 1 and NASCAR are generally the first series that come to mind for people who don’t follow motorsports too closely, but IndyCar is the perfect blend of oval and road racing, mixed with speed, danger, triumph, and tragedy. “I love the sport. 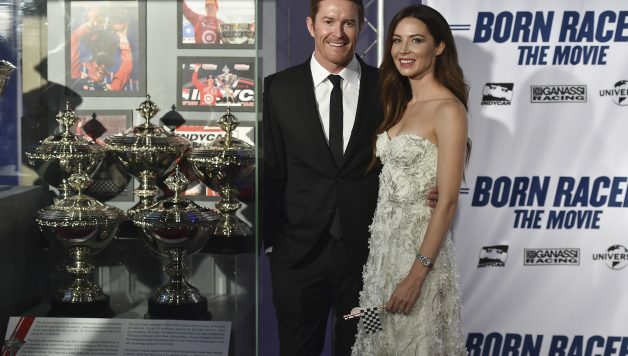 I love IndyCar — it’s been a great family for me,” Dixon told the New Mexico Motorsports Report. “But a lot of the time, it doesn’t get the credit it deserves. Yes, it had its heyday and it’s in a rebuilding phase — which is going very well — but that’s one of the boxes it’s hopefully trying [to check]. Racing in a series as prestigious as IndyCar is difficult. Although some regard F1 as the pinnacle of auto racing in the world, IndyCar has an international fanbase and is respected by most other motorsport communities. About half the field is composed of non-American drivers. The thing is, many drivers in IndyCar tried to climb the F1 ladder in their early years. Sebastien Bourdais, Takuma Sato, and Alexander Rossi made it to F1 but didn’t enjoy much success. Dixon’s new Chip Ganassi Racing teammate Felix Rosenqvist competed in various Formula leagues and Indy Lights before signing a contract last week to race in IndyCar in 2019. But Dixon had his eyes set on a career in IndyCar, even as a young boy in New Zealand. There’s a scene in the film where he’s being interviewed about his goals for when he becomes an adult, and he mentioned that he wants to be an IndyCar driver. Many non-American kids grow up hoping to be F1 racers, so what drew Dixon to IndyCar? At 27, Dixon won an Indy 500. But one victory isn’t enough. He’s always thinking about what’s on the horizon. Part of being a racecar driver is accepting the fact that nothing is guaranteed. Dixon won the pole for the 500 in 2017, but quarter-way through the race, he endured a horrifying crash. At 230 mph, on-track incidents happen faster than the amount of time a driver needs to react and evade trouble. Dixon went airborne into the inside retaining fence after Jay Howard’s No. 77 crossed in front of him. The crash was nothing short of bone-chilling. But Dixon escaped with a left ankle fracture. He raced the following weekend in Detroit and didn’t appear to be fazed by his Indy wreck at all. That’s because he’s a competitor who didn’t have time to think about the what-ifs from it. Instead, he put it in the back of his mind and continued his focus on the championship. However, his family doesn’t always get over the big crashes quite as easily. As the children get older, they’ll probably have a better grasp of what their father’s career entails and know that it’s part of the job. Scott and his wife Emma are both competitive individuals and will do whatever it takes to be No. 1. In fact, Emma is a former runner and International 800m champion. They’re a loving couple, but they push each other to the edge. Emma wants Scott to be at his best, and as a result, Emma strives to be her best. And the two of them have raised their children to be at their best. “They’re crazy competitive and they didn’t really have a choice in that,” Dixon joked. “With Emma, I think we compliment each other really well, but I think she’s the most competitive person I’ve ever met. If I have a bit of a bad day … well, she’ll call me out on it. It’s really funny. The film ends with the 2017 finale at Sonoma Raceway. Simon Pagenaud won the race, and Josef Newgarden took the title. Obviously, the script of the film was made based on how the season went. Dixon didn’t come home with the championship last year, but he didn’t hold his head down for a second. At the end of the movie, the Dixons congratulate members of Team Penske for winning the title. But the 2018 season was already on their minds. “I’m so excited about next year already,” Emma says in the final scene. Here we are one year later, and Dixon is a five-time champion — only trailing A.J. Foyt on the all-time list. Racing is full of uncertainties, but this is undoubtedly true: Dixon is a born racer.